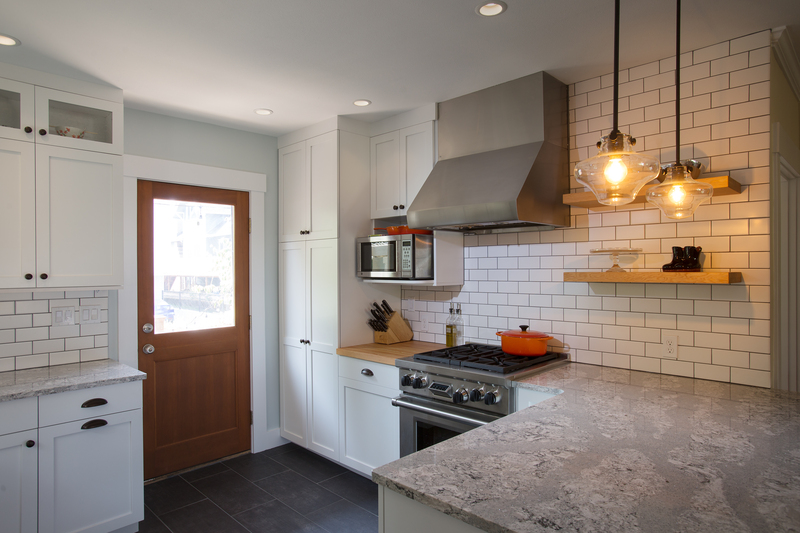 A few years back, the owners of this Phinney Ridge home completed a fantastic addition that, however, left the old kitchen untouched, leaving it cut off from the dining room. 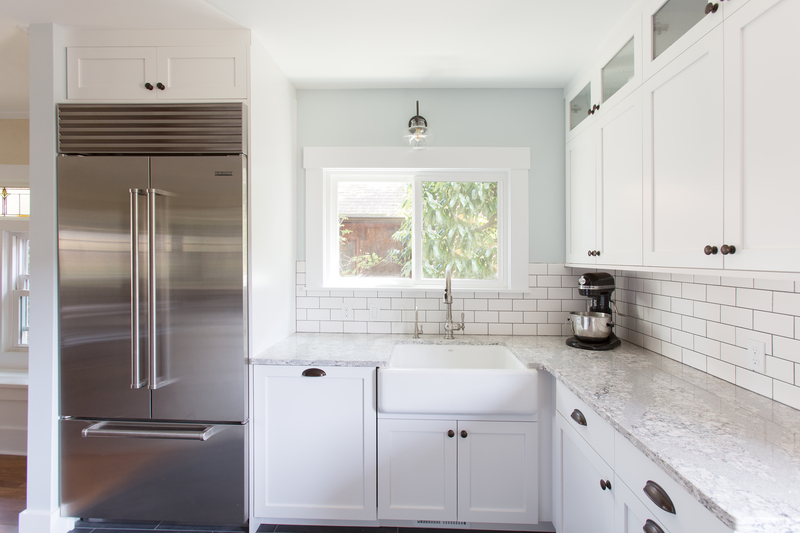 Mighty House Construction, with the help of Entero Design, just completed this beautiful remodel that opened up the space without changing the original footprint of the kitchen. Now, the flow between the dining room and kitchen is expansive, inviting, and much more practical. The kitchen includes cabinetry by Canyon Creek Cabinet Company that is notably low-VOC and locally made. Beautiful, man-made, quartz countertops that are heat-resistant and non-porous from Cambira were installed. The kitchen also includes custom, wood feature pieces created from salvaged wood. The flooring of the kitchen was finished with tile and was installed throughout the kitchen and the dining room. 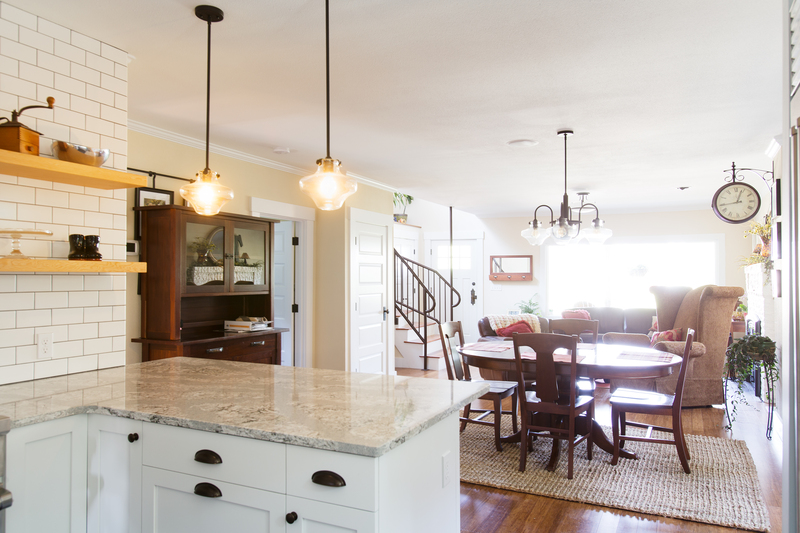 More photos pf this beautiful kitchen remodel found here!